The American Platinum Eagle is the official platinum bullion coin of the United States. 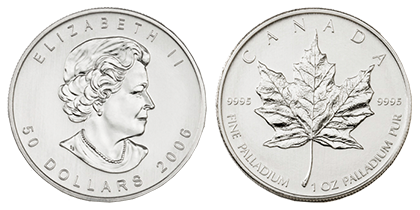 These beautiful coins were first released by the United States Mint in 1997. 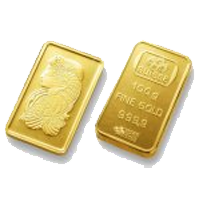 They are offered in 1/10th, 1/4th, ½ oz. 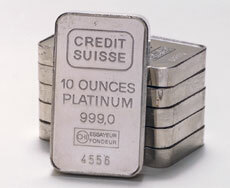 and 1 troy oz versions and consist of .9995 fine platinum. The American Platinum Eagle is authorized by the United States Congress and is backed by the United States Mint for weight and purity. 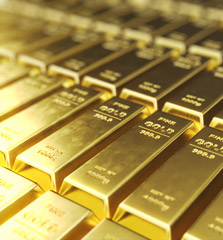 Proof and uncirculated versions of the coins are also made for coin collectors. 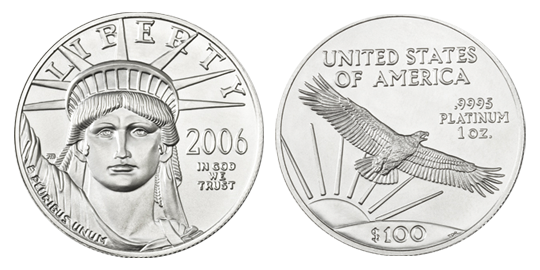 The Proof American Platinum Eagles are unique in the fact that they are the only U.S. bullion coins that have a yearly alternating design on the reverse. Because it may be considered a precious metal, rather than a rare coin, the American Platinum Eagle may be placed in an Individual Retirement Account in the United States.